John Palmer, the best selling author of How to Brew as well as his new book Water (both Amazon Affiliate Links) is my guest this week. John provides some great tips for new brewers on water. 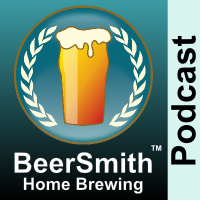 We discuss our new joint DVD project – our How to Brew videos on malt extract and all grain brewing – coming later this summer. You can also watch the trailer for the first video mentioned in the show at that link.